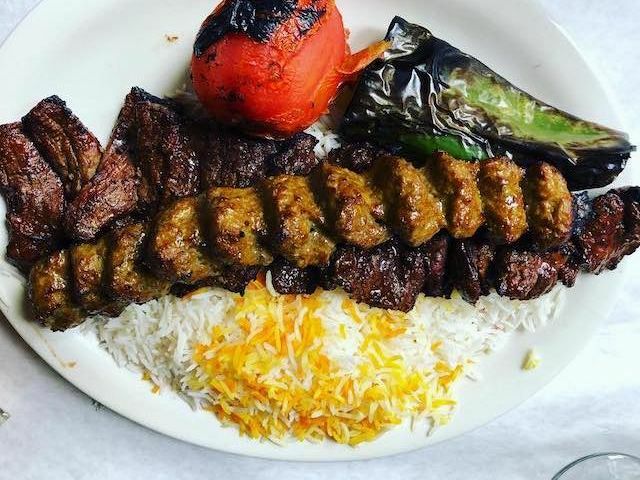 Where to find the best of Iran in Los Angeles from—ghormeh sabzi and flatbread to contemporary art and old records. At first glance, the sign reading "Persian Square" along Westwood Boulevard may not make much sense. But the high concentration of Persian restaurants and businesses along the boulevard catering to the roughly 87,000 Persians living in Los Angeles—the largest population outside Iran—has caused the area to be lovingly dubbed "Tehrangeles." In 2008, the Farhang Foundation was created by the city’s Persian community to promote Iranian arts and culture to the community at large. “We are a non-profit and are non-religious and not politically affiliated,” Alireza Ardekani, Farhang’s executive director, told Citizine. 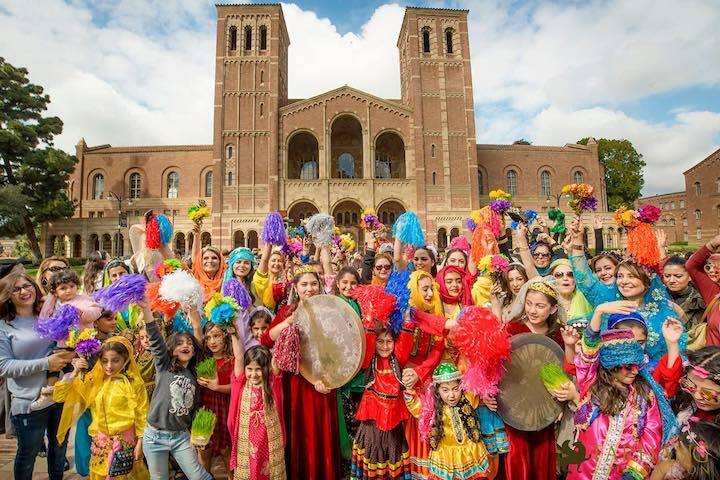 “We’ve partnered with LACMA , MOCA, The Getty, the Craft & Folk Art Museum, AFI, USC, UCLA” and more on projects and events to promote Persian literature, music, design, cuisine and other contributions to modern culture. Recently, the organization helped USC and UCI start Iranian Studies programs. “It didn’t make sense that those programs didn’t exist,” Ardekani added. 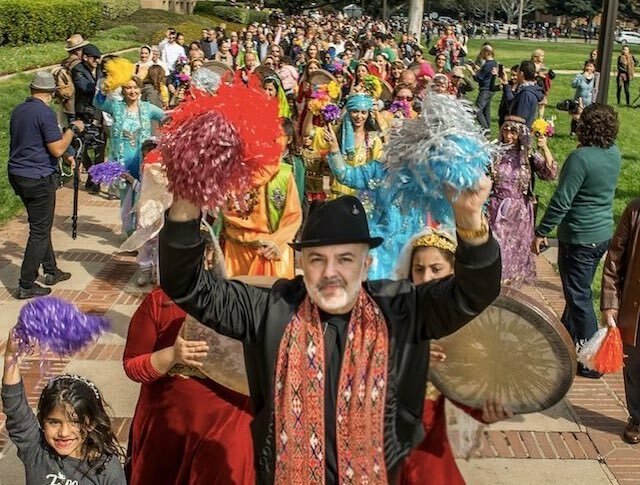 Just in time for Nowruz, we asked Ardekani to share with us a heaping dose of places in LA to experience Persian culture on behalf of Farhang Foundation. Alireza Ardekani: The Freedom Sculpture is a monument that Farhang Foundation gifted to the City of Los Angeles as a symbol of freedom and multiculturalism based on the ideals of Cyrus the Great. 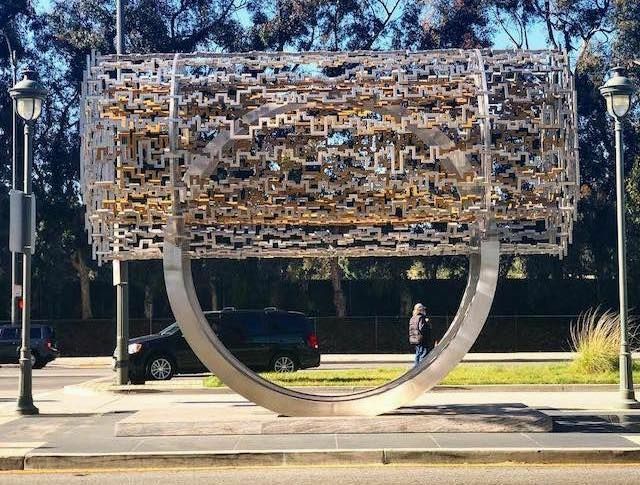 It's a crowdfunded project supported by over 1.2 million individuals from over 52 countries, and it is permanently installed on Santa Monica Boulevard and Century Park East. 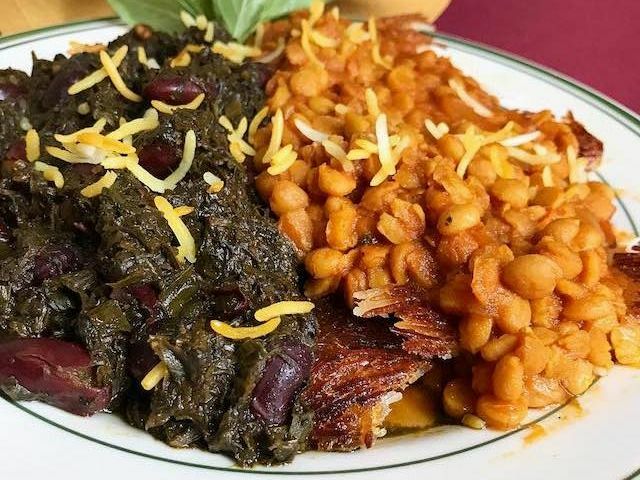 AA: My favorite dish is the Tadig with Ghormehsabzi (Crispy Rice with Herb Strew). AA: LA has the largest Iranian community outside of Iran. So, we throw a lot of concerts for the community. We have many major concerts at Royce Hall. AA: Cucumber and Orange Blossom are my favorite flavors. They have many Persian flavors that may not be commonly-known to non-Iranians. AA: Best place for Persian cream puffs and Persian shirni (small cookies). AA: Best fresh and warm Persian flatbread known as Sangak. AA: Music Box is 40-years old. It’s one of the last music shops around, and is the only music store dedicated 100 percent to Iranian music. Artists I recommend: Googoosh, Homayoun Shajarian, Pallett, Eendo, Kiosk, Mohsen Namjoo, Shahin Najafi. AA: This gallery specializes in contemporary Iranian art, which is very in demand all over the world. Famous, sizable free museum highlighting American & European art, architecture & manicured gardens. A selection of handcrafted items plus interactive programs allowing viewers to create their own art. This sizable UCLA concert hall primarily hosts music events & is home to the LA Chamber Orchestra. Upscale, white-tablecloth spot for Mediterranean eats, known for their kebabs & landscaped patio. 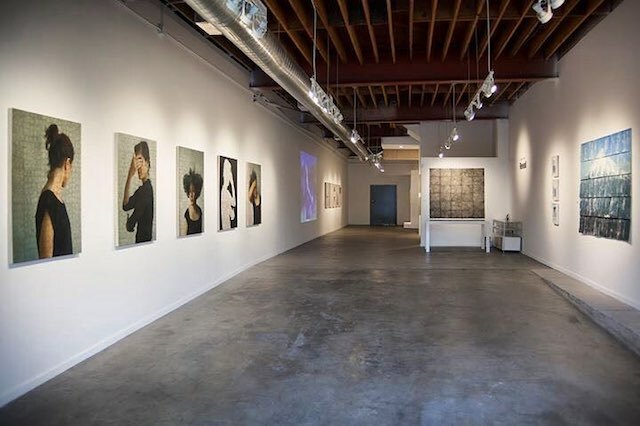 THE SPACE is a project, exhibition and art space with limited public hours, offering exclusive viewings to curators, art critics, industry insiders and collectors alike. The Freedom Sculpture, on Santa Monica Boulevard and Century Park East, is a monument the Farhang Foundation gifted to the City of Los Angeles as a symbol of freedom and multiculturalism based on the ideals of Cyrus the Great. It's a crowdfunded project supported by over 1.2 million individuals from over 52 countries. 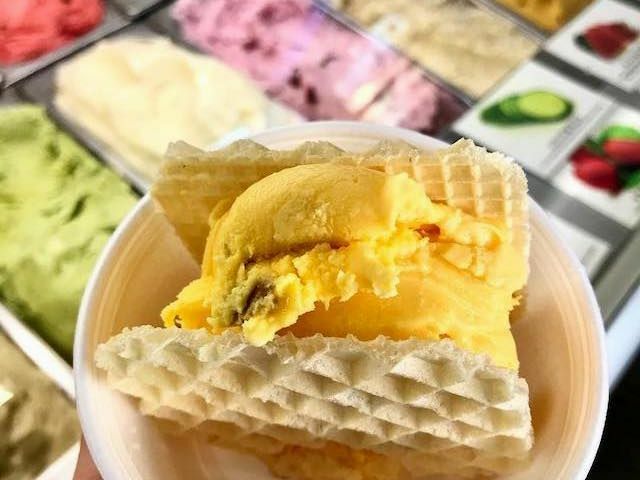 Store specializing in housemade organic ice cream in a range of regional Middle Eastern flavors. "Cucumber & Orange Blossom are my favorite flavors. 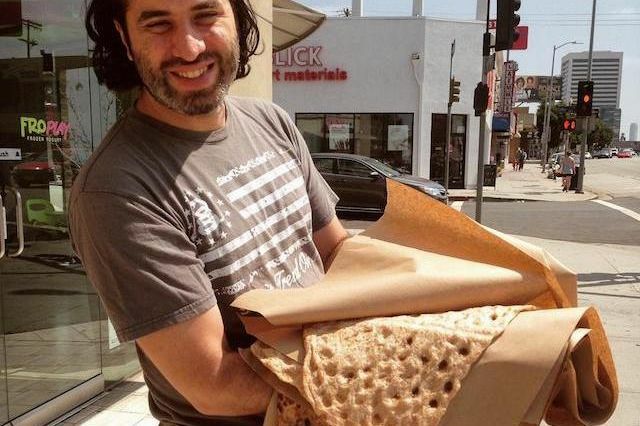 They have many Persian flavors that may not be commonly-known to non-Iranians," Alireza Ardekani, Farhang Foundation's Guide to Persian Culture in LA. 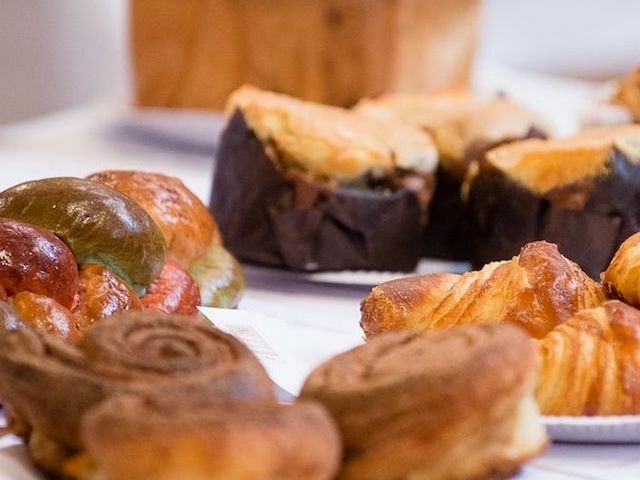 Long-standing West LA bakery known for its pasteries and sweets. Cash-only. Casual, counter-serve Persian kebab restaurant also turning out traditional flatbreads. Music Box is 40-years old. It’s one of the last music shops around, and is the only music store dedicated 100 percent to Iranian music.